Tired and jet lagged but safe in the knowledge that Ireland had beaten England at Lansdowne Road the night before, we were picked up from our hotel in Perth by Hospitality extraordinaire John O’Connor of ‘Wine For Dudes’ tours and driven through the dusty summer sunshine down to Margaret River. John, like many other young men before, had been lured to Margaret with its magical tales of perfect surf, sunshine and wine and like many wine people we met over the next few days, had never left. The relationship between surfing and winemaking in Margaret is strong, a bit like its blends: Cabernet and Merlot – Sauvignon and Semillon. Margaret River winemakers like to regard their world as a cooler climate region with crisp refreshing whites and fruity but balanced reds, modelling itself more on Bordeaux then Rhone. 2011 however had been the driest and hottest vintage in many years with only half the rainfall recorded in winter. Alarmingly as well, there has been an unexplained 3° increase in ocean temperature killing much sea life. This was a story that was to contrast with the events unfolding far west inSouth Australia…. Our first port of call was a cricket match between the Semillon Sluggers and the Cabernet Crushers as part of the annual Margaret River wine festival where we were treated to some open air wine tasting, seafood and general warmth from the local winemaking community. Later that evening we relaxed in the village over local tapas and wines at Winos wine bar before getting an early night. First up was Xanadu winery, one of many Aussie wineries we were to visit with Irish roots, Xanadu being planted by Dr.John Lagan in 1977 who named the vineyard after the poem Kubla Khan by the romantic poet Samuel Taylor Coleridge. 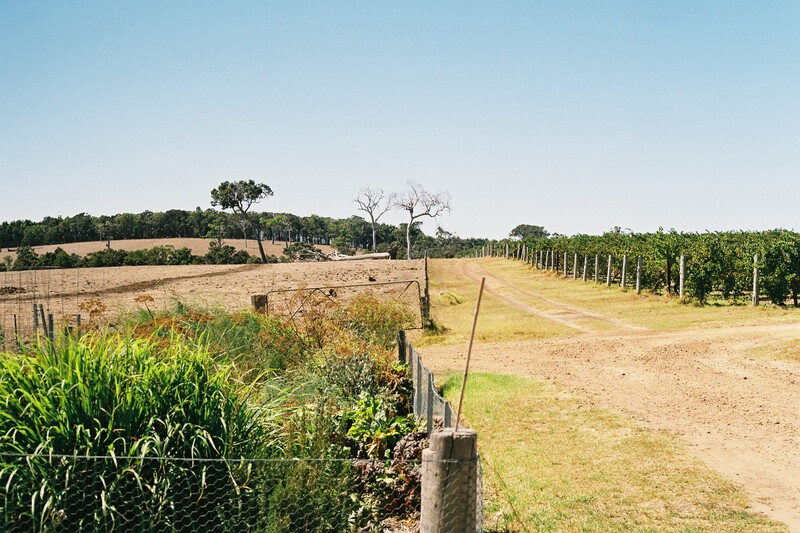 Xanadu, like all the vineyards in Margaret, is relatively young; in fact it was not until 1965 that the now locally revered Doctor by the name of John Gladstone wrote a report, following the decline of the wine industry in the SwanValley, suggesting that the cooler climate of the State’s south-west region should be considered for growing vines. The rest is history. We had arrived in the middle of harvest. 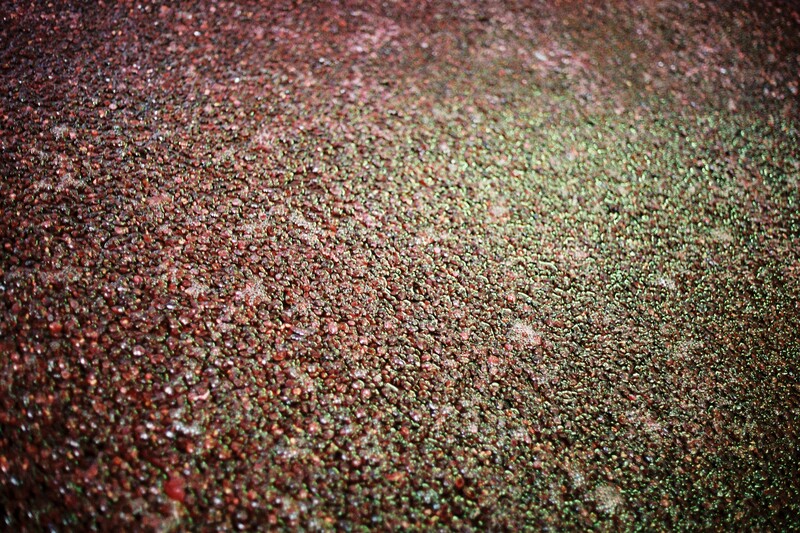 At Xanadu, chief winemaker Glen Goodall brought us on a tour of the winery where grapes were arriving by the truck load and the crusher/destemer was working overtime. We were shown open vats fermenting and given tastes of various ferments from various tanks and barrels. Our next stop was the organic and biodynamic winery of Cullen. Chief winemaker Vanya Cullen brought us on a tour of her organic vegetable patch which serves the famous Cullen restaurant, and the more famous Diana Madaline Cabernet block. She vividly illustrated her points on biodynamics by pointing out the contrast in the land on either side of a dividing fence, the Cullen side, green and rich with life both insect and plant, and outside, dry, dusty and dead. After Cullen we tasted some excellent wines surrounded by some superb Australian paintings in the art gallery at Vasse Felix, followed by a very pleasant lunch on the restaurant terrace upstairs overlooking the vines. After Vasse, we were taken on a tour, tasting and dinner withGalwaywinemaker, Bill Martin and his team at Clairault. I mentioned to Bill that I had been working my way through a couple of cases of his delicious 2003 Cabernet/Merlot at my flat in Dublin before flying out. We wound up the day with an invite to the annual full moon harvest party back in Cullens where I finally got to swallow some of Vanya’s superb Kevin John Chardonnay and hang out with winemakers and their families to the backdrop of vines, blue grass and a full moon. You get a real sense of community in Margaret; life seems good here – one of those beautiful, special places tucked away in a secret corner of the world. I woke the next morning in the darkness at 5.30am. John from ‘wine for dudes’ was waiting outside in his van which took us through the early morning vines towards the ocean. 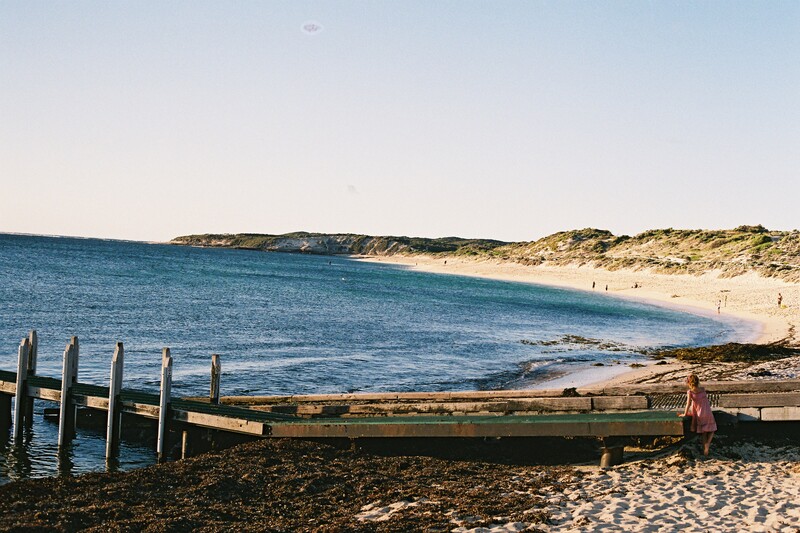 Minutes later we paddled out in the warm green waters at ‘grunters’ for a sunrise surf – I didn’t see any big fish… did they see me? Afterwards we caught breakfast at the local hangout at ‘boat ramps’ where guys were getting towed into some big, barrelling lefts. We rendez-voued with the rest of the team back at the village and went to the spectacular Leeuwin Estate grounds where we were taken for a tour and tasting of their excellent wines. We had just enough time for great pizza and quick tasting at one of John’s favourite wineries before hitting the highway back to the airport atPerth. Clare valley – The Rain In Spain Falls Mainly On…South Australia! The next morning we were driven north from Adelaide to Clare Valley. It was cool and it was raining, as it had been when we arrived late the night before. In stark contrast to sun-drenched Margaret River, South Australia has been having its second wettest vintage on record. One of the team showed us that his biodynamic calendar had not only predicted the persistent rain but also the heavy downpour that was to occur that night to the exact date. The moon was in its eighteen year closest to Earth phase and was reeking havoc with the weather, waters and, as we have seen in news over the last few months, tectonic plates. We found it fascinating the next night at dinner in Barossa when Stephen Henschke of the fabled Hill of Grace remarked how this happened every eighteen years. For South Australian winemakers, this was turning out to be the most ‘challenging’ vintage they had every known with rot, mildew and botrytis running rampant in many vineyards. The challenge was to get grapes off the vines and into the wineries as fast as possible before the disease had taken hold and destroyed entire crops. As an outside observer it was an interesting time to be there, to see how the growers and winemakers were reacting to the adverse conditions: ruthlessly discarding spoiled grapes, spraying vines to counter the rot, working frantically to get the crop into the winery and using all their winemaking know how. For a region suffering from consecutive years of drought – SA being the driest region on the driest continent on Earth – the rains of course are a welcome relief to many such as local farmers with thick green pastures and rivers, dams and lakes full to the brim in a time of the year when the earth is usually scorched brown by the incessant sun. First stop was Jim Barry Wines where we were taken on a spectacular drive to view points of the valley and a tasting of grapes from their famous Armagh Shiraz block (the Barrys trace their ancestry back to Cork). We were then given a fantastic tasting by Peter Barry of his limey Rieslings, minty Coonawara Cabernets and juicyShiraz. Tim Adams was next up. We heard how Tim would still be taking in grapes from his growers this year. The relationship between winemakers and local grape growers in South Australia is strong, going back many years. We were first to see it here at Tim Adams where a winemaker was prepared potentially to take a huge personal loss by staying loyal to his growers in a challenging year and taking in their crop. We went for lunch with Tim and Neil Pike of Pikes Wines. Tim and Neil showed us wines outside the traditional Riesling, Shiraz and Cabernet categories. We tasted Tempranillo, Pinot Grigio, Viognier and Sangiovese. This was a pattern that was to often repeat itself during our trip around the SA wine regions, winemakers planting and experimenting with all sorts of Mediterranean varieties. There will be a lot of diverse varieties coming out of SA in the future, I feel, and what an exciting time it will be for winemakers as they get more of a handle on these varieties. After a further tasting back at Pikes and a trip and tasting at Wakefield we made our way through the now steady downpour to the remote and beautiful location of Skillogalee. We met Dave & Diana Palmer and their daughter, Nicola, in a charming old stone cottage built in 1851 by a Cornish miner, John Trestrail, who had settled there and operated the property, then called Trevarrick Farm. He and his wife had 17 children, and, being a religious man, it is said, did not approve of drink! The cottage now operates as both the Skillogaloee cellar door and the restaurant which is managed by Nicola and is open 364 days a year. 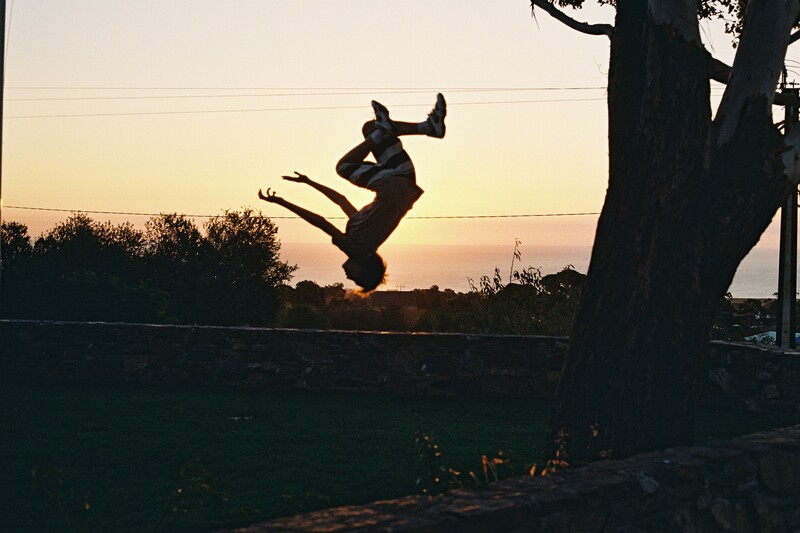 After drying off at the beautiful guest accommodation surrounded by vines we were invited to a BBQ dinner and wine tasting back at the Palmer’s home. Over an aperitif of his crisp sparkling Riesling, Dave told me the curious story of how, drifting through work in the British civil service through Africa, and later into the private sector, he had found himself in Australia, and through one thing or another, had found himself discovering Skillogalee, found himself at an auction for Skillogalee, and found himself on the phone to Diana telling her they had just purchased a boutique vineyard with a strange Irish name (“skillogalee” or “skilly was a dish of thin porridge or gruel commonly fed to prisoners in Ireland around the early 19C). They had never picked grapes before. Inspiring stuff. With the rain pouring down we had the BBQ inside, and what a feast it was, accompanied by their award winning Riesling, Gewurztraminer, Chardonnay, Shiraz, and some mysterious old red numbers in crystal decanters. We wrapped up the ‘tasting’ later then planned over a plate of local cheeses and a glass or two of Skillogalee liquer Muscat. With a sore head and a happy heart we drove out of Skillogalee early next morning leaving Dave down in his Riesling patch where he had been hand picking all morning. We made the half hour trip to St.Hallet in Barossa which incorporates the wine regions of -BarossaValley, famous for its big, dark Shiraz- and EdenValley, known for its cool, citrus style Riesling. At St.Hallett we picked grapes at the famous Old Block and were treated to a fab lunch and tasting concluding with a Shiraz blending session. Competition was rife between the team as we set out to outdo each other. My approach differed from that of my colleagues: discarding the scientific approach of the measuring test tubes offered to me, I instead used my natural ‘flair’, throwing large measures of different blocks into the one glass. 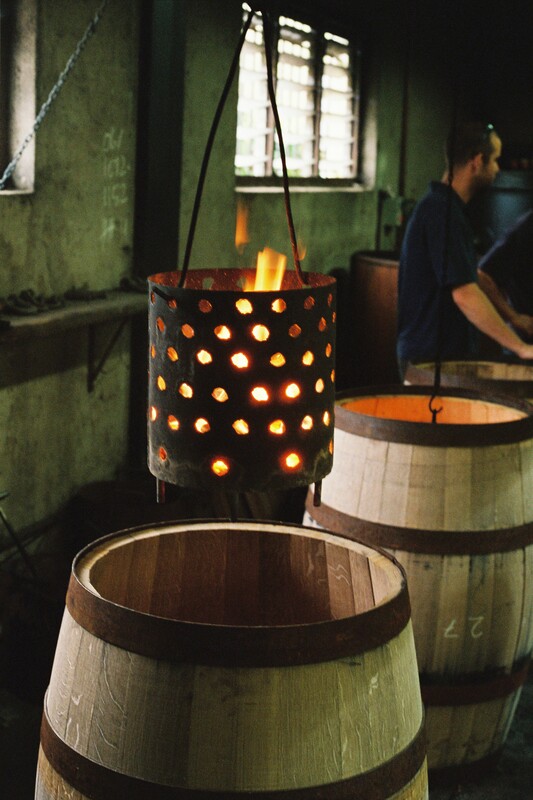 After an afternoon tour and tasting at Thorn Clarke we arrived at Yalumba where Jane Ferrari gave us a fascinating tour of the Yalumba cooperage where two coopers were thick in the middle of steaming and shaping French oak barrels. Jayne then drove us up to the beautiful Eden high country of Pewsey Vale where we tasted Rieslings from the boot of her land cruiser and gorged on bunches of “lime over lemon” Riesling. After a tasting back at Yalumba we were brought to Percy’s, our stunning guest house accommodation, to get some much needed down time. Jayne brought us out for dinner to the excellent Vintners Bar & Grill magnificently situated in the vines where we tried some Yalumba Tasmanian sparkling and a couple of old standout Cabernet/Shiraz Signature vintages. Ferrari was just getting into fifth gear when the wheel came off and with apologies, retired with a sudden pain in her neck. She had been a great host. We spent the next morning at Jacob’s Creek and Grant Burge. Afterwards we were taken to Peter Lehmann for lunch. When we arrived the scene was like waiting at a ferry terminal with queues of grape-laden trucks waiting to deposit their harvest into the voracious crushers. In the middle of this action was a small stone hut where we were given a glass of Eden Valley Riesling and were treated to a delicious buffet lunch amidst a flurry of activity as hungry winemakers poured in and out for a chat and some grub. After lunch chief winemaker, Andrew Wigan, walked us over to the action where the trucks were unloadingShiraz. 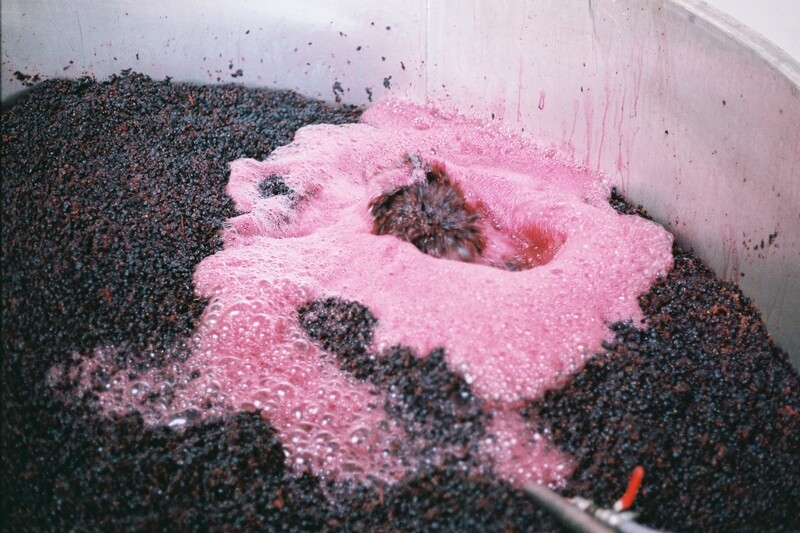 We were warned to stand back as a torrent of free run juice poured into the crusher and were encouraged to walk the plank and drink the deliciously purple juice as it gushed out of the truck, “this will make a beautiful wine,” Andrew grinned, “darker then a dog’s guts!”; “I think we’ll leave that one out of the back label Andrew,” suggested the marketing manager with a laugh. After an excellent tasting back at the cellar door we travelled to the boutique vineyard of Turkey Flat, passing by 150+ year old bush vine Grenache along the driveway to the cellar door. Christie Schulz is the proprietor of the Turkey Flat property which has been in her family since 1865 and who continued to tend the ancient vineyard back then, while also developing a thriving butchers’ business. The vines date as far back as 1847 when far-sighted Silesian refugee, Johann Frederick August Fiedler, planted Shiraz. One interesting point of discussion which developed during out trip was this old vine story that the team felt had not been told and sold to the rest of the world. In fact Australiahas some of the oldest vines in the world pre-dating French & European vines which were almost totally destroyed by the phylloxera epidemic in the mid 19th C.
Christie gave us a tasting of her sophisticated wines back at the cellar door, a wonderful old bluestone building, once the old Schulz family butcher shop with very much a historic and atmospheric feel. Back in our hotel that evening we had a beer and a chat with larger then life winemaker Dean Hewitson who whisked us away in his black Range Rover to Pot wine bar & restaurant which was packed and hopping. Dean ordered dish after dish of tasty local tapas while we got to gratefully swallow his excellent wines including his 100 + year vine old rosé. After dinner Dean took us for a couple of late beers with the hipsters at the grungy Sussex bar where they were playing Wilco and Fleet Foxes: safe to say I felt at home. Next morning we took a cab to Penfold’s historic Magill estate, once a large wine property inAdelaidetown, now much smaller with most of the property being sold off and converted into suburbia during the mid. 20thC. After searching vainly for chief Penfold’s winemaker, Peter Gago, we were directed by a staff member to one of the old houses where we met him. Peter gave us a splendid tour and run down on the estate (est.1844) and family history. The complex has been thankfully preserved and restored to its historical origins so that there is a wonderful sense of being back in time as you walk around the old buildings and cellars. The team got a real kick out of the old winery, unchanged since its creation, with Magill grapes, picked just meters away, fermenting in ancient open vats – some of this wine would make the Magill cuvee; some, if good enough, would make the Grange. After the tour, Peter brought us through a discreet door in the cellar into a small tasting room where decanters and glasses had been laid out. We spent the next two hours tasting wines from the Icon and Reserve range about to be released. Since our arrival in Australia all the hundreds of wines we had tasted had been sealed under Stelvin, otherwise know as screwcap. The position from everyone was clear: Stelvin is by far a more reliable and more consistent closure then cork. Wines do not suffer from cork taint or oxidisation under Stelvin and their maturation in bottle is consistent and steady with bright, fruit characteristics shining when opened. But here we found the Grange, Australia’s most iconic wine still under cork, why? 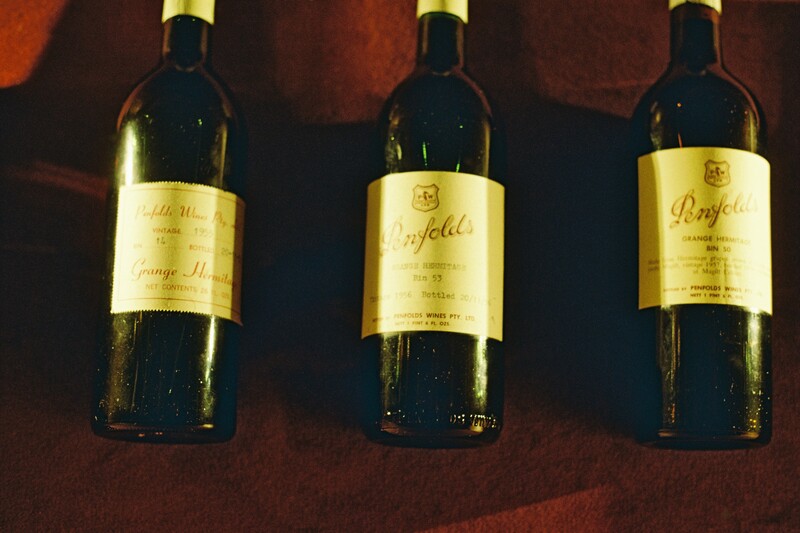 Penfolds run an annual re-corking clinic. The Clinics offer the owners of Penfolds wines which are 15 years and older the opportunity to have their wines assessed by a winemaker, and if necessary, opened, tasted, topped up and re-capsuled on the spot. Peter, a self-proclaimed lover of Bordeaux, Burgundy and Champagne, allows that all his whites and reds to be drunk young do not need a cork, as they are to be enjoyed for their youth and vibrancy, not to be laid down for 30, 40, 50 + years. But the Grange has always been made, since the days of Max Schubert, who made its first vintages (and secret vintages), to be a wine that could live for many years. Peter took the cap part out of the screw top and pointed out that we still do not know how these small spherical synthetic objects will develop over time. Will we be disappointed in 50 years when we open a bottle of wine under stelvin? We still don’t know the answer to that question. Furthermore, stelvin gives no indication of fault in a bottle: they are, in effect, dumb. A cork on the other hand is “a barometer or provenance”. A cork can tell you if the wine was under heat strain for example and cork, with quality greatly improving and TCA figures down from 5%-1%, is still the best way of sealing great wines to be laid down for many years…. Interesting perspective. Gago was born in England and was a science and maths teacher until the age of 29 when he decided to make a life change and study winemaking. He had prepared the wines meticulously for the tasting, having double decanted the new 2006 vintage of the Grange hours before we arrived. “There are three stages in the winemaking process after the bottle had been released” he argued, “1. 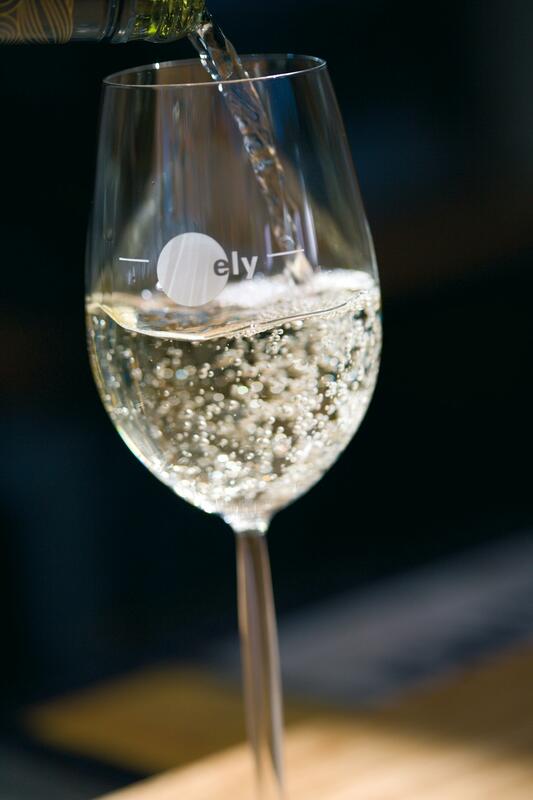 The wine is transported and all conditions affect the wine; 2. Decanting – is the last ‘racking’ process; 3. 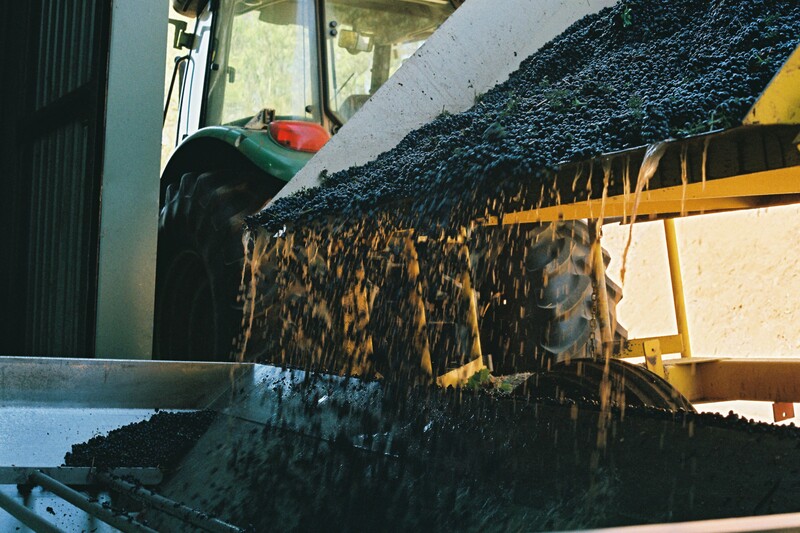 When the wine is in your mouth – the last ‘fining’ process….” Interesting perspective. Australia appears to be going under a collective move away from big, heavy reds and big, rich whites with layers of American oak slapped on top towards more balanced reds, and lighter, crisper whites and lightly seasoned fine-grain French oak barrels. The Grange is matured in 100 % American oak. It is not that French oak is more refined or subtle then American oak, Gago argues, it is that you have bad American oak and bad French oak and vice versa. Another interesting perspective. Peter had many interesting perspectives on wine, and many ideas that questioned predominant current popular opinion. 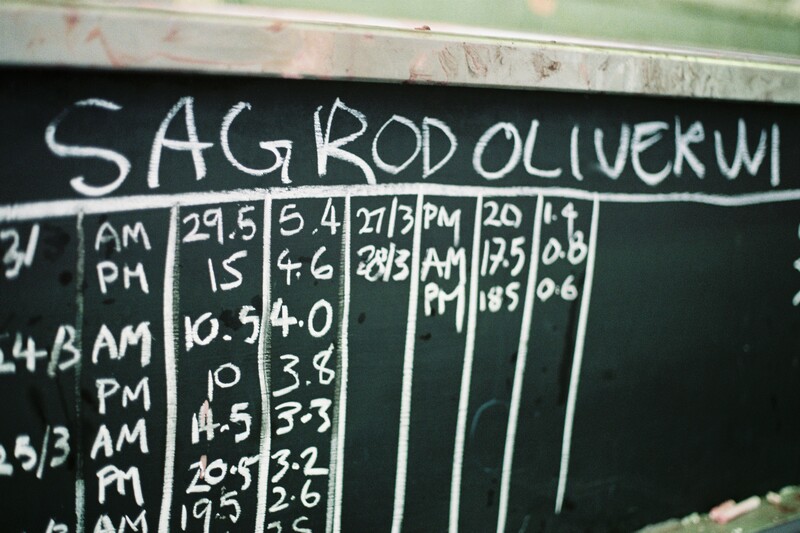 He is clearly a great winemaker who stands on his own feet and makes his own decisions about the wine making process. And, his wines are awesome. We were back at Magill that evening for the much anticipated degustation dinner at the famous restaurant, wonderfully situated at the top of the vines overlookingAdelaideand the ocean. We were greatly surprised and chuffed, shortly after sitting down, when the young sommelier presented us with a bottle of old St.Henri Shiraz and a kind note of compliments from Peter Gago. My colleagues and I agreed on all the food and wine combinations except for the Kangaroo, pumpkin, watle seed and barbecue essence course which arrived smoking under an upturned Montrachet glass into which a bottle of pepper jack hand crafted ale was subsequently poured to mingle with the smoke and kangaroo aromas. I personally loved it, being only my second Aussie ‘barbie’ experience. We agreed not to fall out over it. We did agree however on our favourite wine of the evening, poured just before the three dessert courses, a 1996 Grange, which left one of my colleagues hopelessly lost for an adjective for the remainder of the night. Six hours and thirteen courses and wines later, and embarrassingly the last customers to leave, we made our way out to our taxi by the Magill vines, waiting to take three thoroughly contented men home, and with my colleague still pondering the elusive adjective to describe the ’96 on the cab ride back to the hotel. Next morning we took the hour long drive south along the coast to the heritage-listed, ironstone-walled cellars of Hardy’s Tintara winery in the heart of McLaren Vale. Bill Hardy is the great, great-grandson of Thomas Hardy and winemaker at Hardys as well as its brand ambassador. Bill took us on a drive through the village pointing out the statue of Thomas Hardy who founded the wine company in the mid 19th C. We climbed up to remote, wooded, higher ground and down dirt tracks surrounded by vines. At length we pulled up and walked to a beautiful old stone ruin, overgrown with weeds. The ruin was the original working Hardy’s Tintara winery. Bill showed us fascinating black and white prints of the old winery and team at the height of vintage and recalled the story of how, when an early vintage of Tintara came up for auction in London, he had travelled, acquired the bottle, and brought it back to this remote location and had sat down alone in the old ruin with the ancient bottle. It was a touching story from a man who is clearly passionate about his wine and family heritage. When copper was in short supply during the Great War the old roof of the winery was taken away and the place fell slowly into ruin. It’s a deeply evocative place and we felt privileged to have been brought there by Bill. After we returned we had a tasting of the range finishing with two excellent Tintara vintages. I preferred the 2004 Upper Tintara Shiraz: dark and earthy with layers of savoury, herbaceous flavours coming forward. 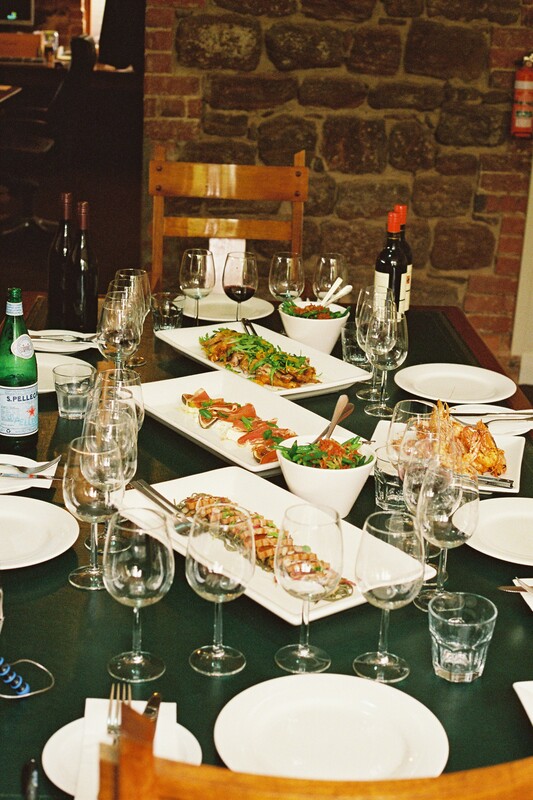 After Tintara, we visited Wirra Wirra andChapel Hillbefore ending up at d’Arenberg. At d’Arenberg we met fourth generation winemaker Chester Osborne who slipped off from the hot work of vintage to greet us.Chester’s approach to winemaking is both traditional and biodynamic with minimal inputs and no fertilisation, cultivation and irrigation wherever possible. His vines are wonderfully wild looking, a bit like Chester’s head of curls, and the winery has a real old world feel. 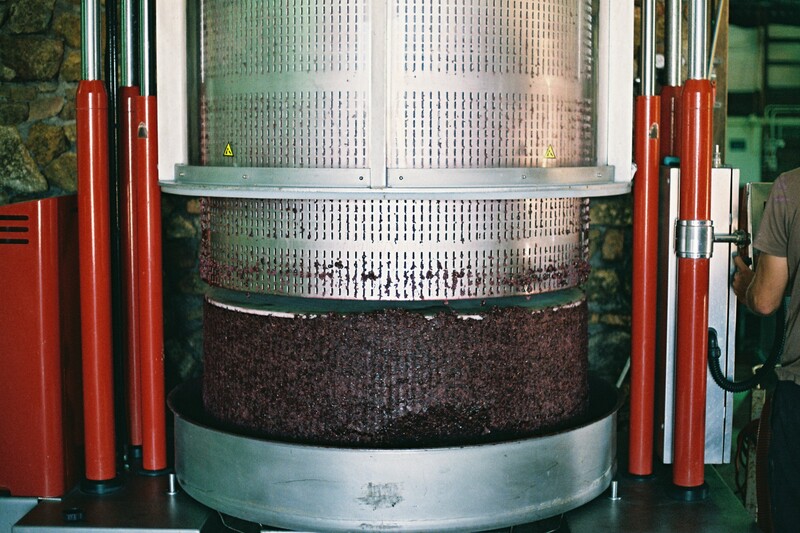 All grapes, red and white, are basket-pressed. 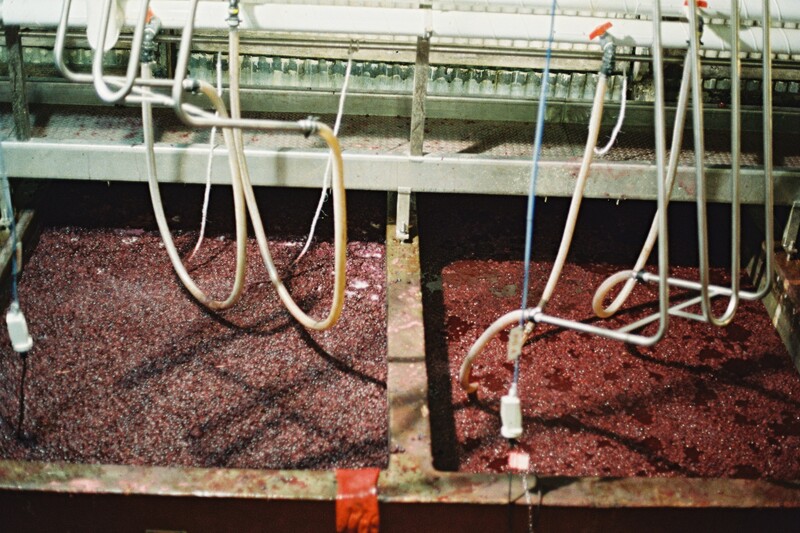 The reds are still traditionally fermented with the grape skins (caps) submerged in open wax-lined concrete fermenters utilising the age-old technique of foot-treading. That evening we were taken out to the Victory, a McLaren pub and local institution serving up great local food. 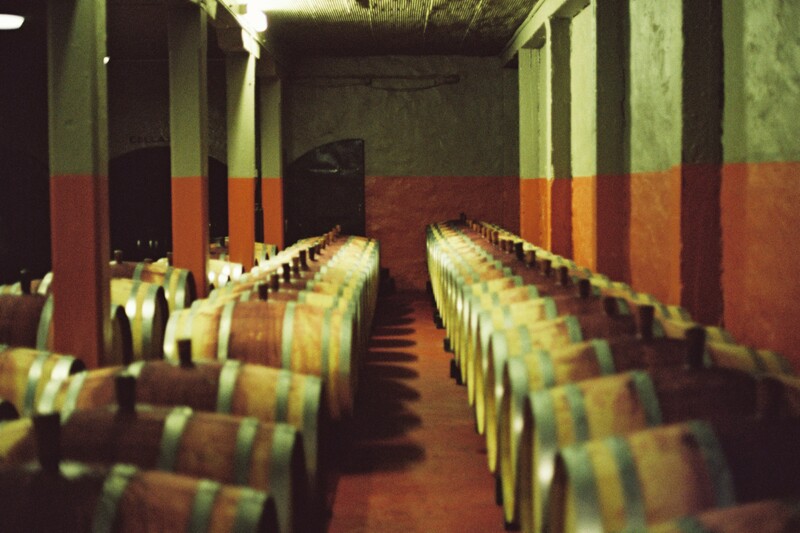 On arrival we were taken on a private inspection of the cellar lined with row upon row of vinous delights. While in the cellar, our guide ushered us through a secret hidden door which suddenly opened out from the wall. Once inside we found an Aladdin’s cave of fine wines from around the world; “quick, grab a corkscrew and lock the door,” I suggested. Safely back in the pub we sat down to a fine dinner with local biodynamic winemakers Michael Paxton of Paxton wines and Mike Brown of Gemtree. I was sitting beside the imposing figure of Mike Brown who, covered in wine stains and dust and sporting a bandana and bulging biceps, looked more like a Harley Davidson biker then a biodynamic hippie. Mike & Gemtree are now working with Greening Australia creating an area of biodiversity which is a major haven for native plants, frogs, birds and other animals. Their ongoing commitment to environmental sustainability has led to the entire estate being farmed biodynamically since 2007. Mike’s biodiversity is about putting balance, nutrients and minerals back into the soil. Biodynamic vines are healthier, stronger and less susceptible to rot and disease and in 2011 was paying dividends (and damage for those on the non-biodynamic side). It made sense: you feed a human with fatty foods and sugary drinks, load them with steroids and antibiotics every time they get sick and give them no exercise and you have one unhealthy and illness prone person. The same goes for vines: you make them work and give them a balanced and healthy diet and they become strong and healthy with strong immune systems. It seemed no coincidence to me, as we travelled from vineyard to vineyard in SA and in this wettest of vintages, to see how much more up-beat the organic & biodynamic winemakers were in comparison to those not so, who came across as glum and pessimistic. The biodynamic wines were coping with the rot much better. 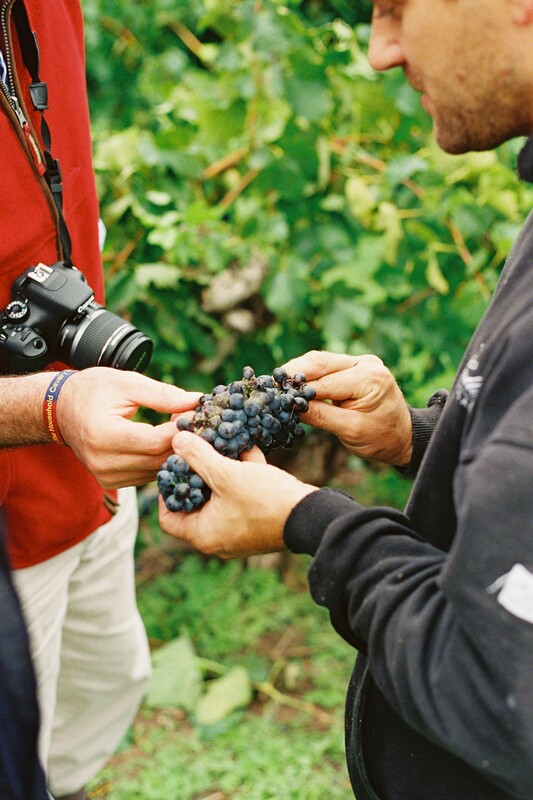 The conversation moved from fascinating winemaking topic to fascinating winemaking topic. We finished up debating screwcap v’s cork again with some interesting views being exchanged across the table. As a winemaker, Mike Paxton felt that screwcap had to be the better option as it gave the wine a much better chance of getting to the drinker in the condition it was in when it left the vineyard and this is of course is now beyond debate. But my big question was, although we know the maturation of wine under stelvin is slower, safer and more consistent then cork, does the character of the wine change under cork? I saw a flicker of recognition in Mike’s eyes and he admitted that, in an ideal world, cork was arguably a better closure for great wines. Having a background in music technology I suggested an analogy with music recording mediums: compact disc / digital V’s vinyl /analogue. With CD, the nature of the recording will never degrade or change, while the temperature prone and fragile vinyl was, depending on its storage conditions, susceptible to quality loss and warping. However, I argued, the pleasure in loading up an old record in good condition and the warm quality the medium gives the recording was something digital could not (at least not yet) equal. My (Co.)Cork colleague suggested that neither the cork nor the stelvin were the final answer in closures, that we are yet to develop the technology to put to bed this debate. To be continued then…. 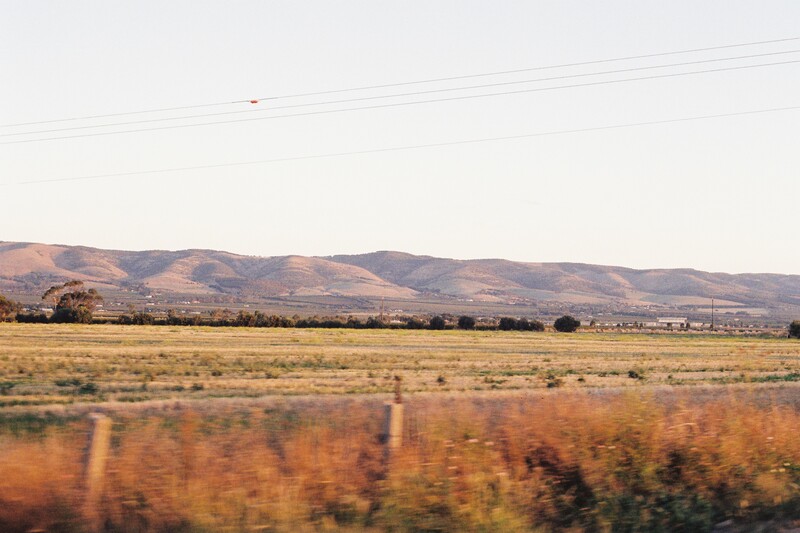 Next morning we drove up to the beautiful Adelaide Hills. First stop was Shaw & Smith. If wines and vineyards reflect their winemakers (and they do of course) then the perfect rows of vines, manicured lawns and ultra slick winery echo its stylish and clean cut winemakers. Their crisp Sauvignon Blanc and Chardonnay (the best we tried in SA) are focused and modern, more stylish, urban, table cloth-fine dinning then rustic wine bar (enter Chester Osborne). After tasting at Bird in Hand we had a tour and wonderful lunch at the excellent bistro in the spectacular setting of The Lane, high in the Hills. Marty Edwards is another proud organic/biodynamic grower. He told us some interesting biodynamic practices he had incorporated in his vineyard such as only irrigating on root days saving him some 70% in water. My English colleague added that since holding his public tastings on fruit or flower days his wine merchants has seen a 30% increase in sales on those days. Food for thought. Last stop was Petaluma where we tried a range of wines including their standout Riesling with winemaker Andrew Hardy and Katie MacAuley. Wrapping up the day and the trip we drove to the highest point in the Hills and popped a crisp bottle of Petaluma Croser sparkling and toasted our trip – what a trip it had been. 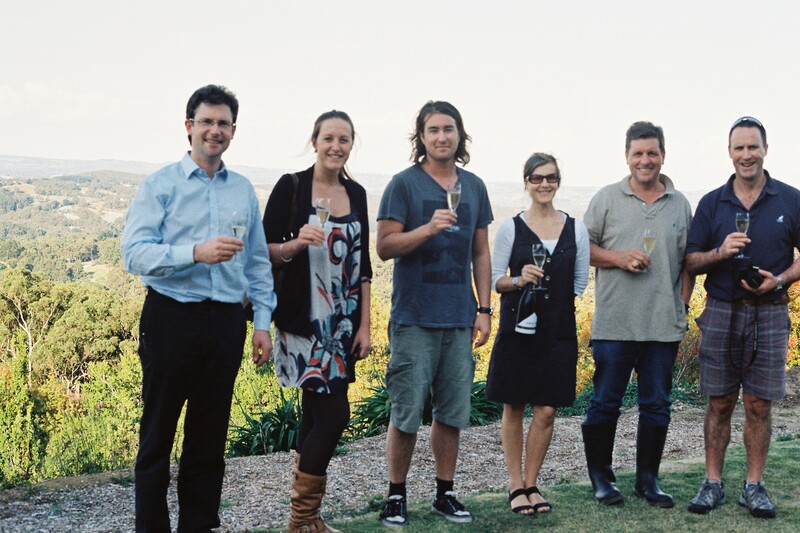 Left to right – Colm Mcann (Ballymaloe House), Camilla Coste (Wine Australia),Gavin Ryan (ely Winebar), Katie MacAuley & Andrew Hardy (Petaluma), Philip Amps (Amps Fine Wines). 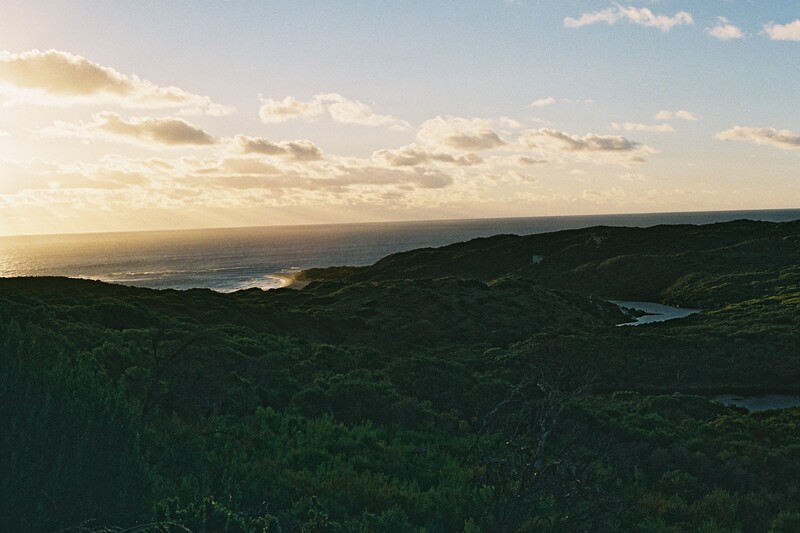 We drove down to Adelaide the longer scenic way, taking in the sunset over the city and the ocean beyond. I had come to Australia knowing some things about its wines, and had picked up some things I had not known along the way. In terms of winemaking, Australia, in contrast to Europe, seems like a brave new world, eager to experiment with new grape varieties and new technologies such as closures. It is this acceptance and courage to try new things that sets it apart and will surely bear interesting fruit in years to come. But there is also a huge amount of history here as well , and old vines, a story that maybe hasn’t been properly told. It was a hugely interesting time to be there, bang in the middle of vintage when everything was happening. But the story of vintage 2011 inWestern Australia with its hot, dry conditions couldn’t have contrasted more with the cool wet weather in South Australia; vintage variation is huge in a country the size of Europe. As are the styles of each region, and perhaps it is this regional difference that is the major factor at play here. Biodyamism played a huge part in our trip as well with some genuine eye openers and stories along the way and it may be this factor that plays the biggest hand in the tricky 2011 vintage for South Australian wines. When I got home, 35 hours and 4 flights later I decided to un-cork a fine looking Haut Medoc I had be saving for a steak and some quality time, with myself! After 12 days of non stop Aussie wine I couldn’t wait to get my nose into some good old claret and guess what? Corked! I cracked open a bottle of St.Hallet single vineyard Shiraz: it was beautiful.